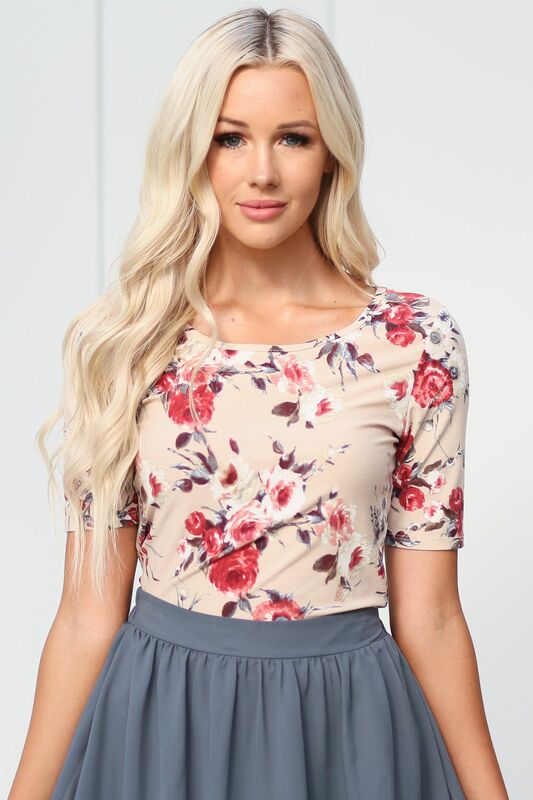 The perfect pairing of pretty floral prints & soft, comfy fabric--you'll love our new Scoop Neck Floral Tops! 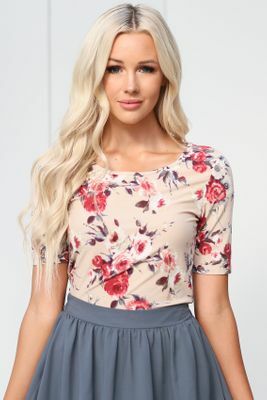 This top features a sand/light tan background with a delicate floral pattern that includes dusty blue, pink, cream & green. A simple scoop neckline & almost-half-sleeves complete the look. (Sleeves are longer than a typical "short sleeve" top, but not quite to the elbow.) Pair it with your favorite jeans or shorts for a casual look, or try it with one of our gorgeous skirts to dress it up! Top is also available in Blush & Sage Floral, Ivory & Mauve Floral, Apricot Floral, Navy Floral and Olive Floral. 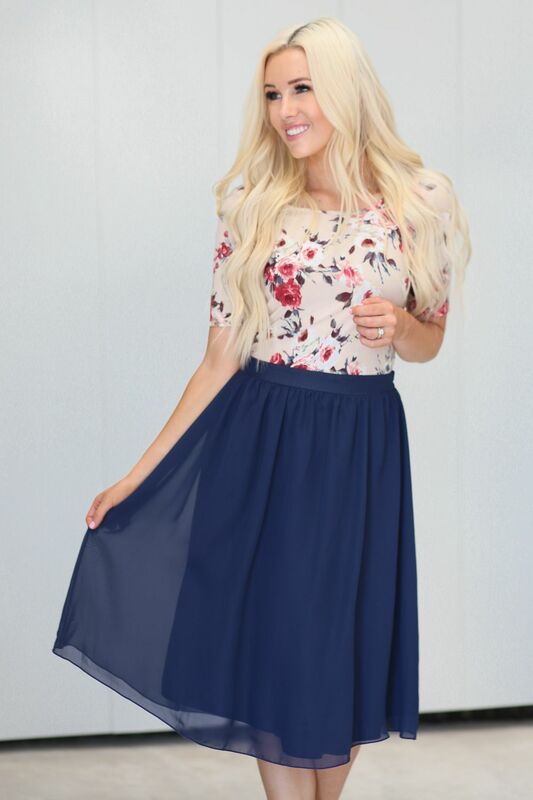 Worn here with our Chiffon Skirt in Gray Blue, Tie Waist Skirt in Dusty Pink and Chiffon Skirt in Navy Blue.